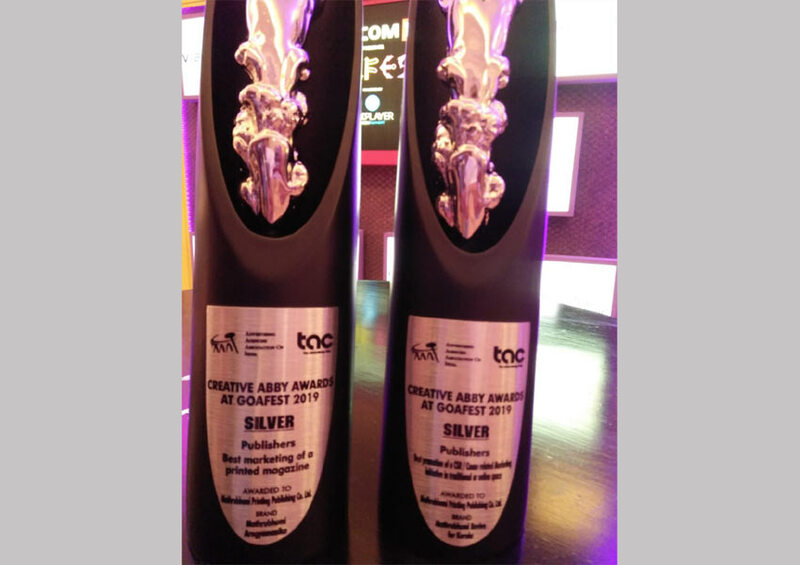 Mathrubhumi Group bags awards at Abby Awards 2019, Goa, 11th April, 2019, Mathrubhumi Group Kerala’s leading formidable media group had a rich haul of 2awards at the prestigious 14th edition of Creative Abby Awards 2017 jointly organised by the Advertising Agencies Association of India (AAAI) and The Advertising club, at The Grand Hyatt, Bambolim. Mathrubhumi bagged silver under Best Marketing of a printed magazine for ArogyamasikaWorld Heart Day campaign and silver for the Best promotion of a CSR / cause related marketing initiative in a traditional or online space for its Revive for Kerala campaign. In total, 23 Publishers Abby Awards were awarded this year by Abby’s, of these, 3 are Gold, 9 are Silver, and 11 are Bronze. Day 1 at Goafest 2019 kicked off true to tradition with the lighting of the inaugural lamp by Group CEO & MD – Viacom18, SudhanshuVats,Mr. Ashish Bhasin – President of Advertising Agencies Association of India (AAAI), Mr. Nakul Chopra, Chairman – Goafest 2019, Shashi Sinha – Chair of the Awards Governing Council, ABBY Awards 2019, VikramSakhuja – President, The Advertising Club, and Jaideep Gandhi – Chairman Industry Conclave. Speaking on this occasion Mr M V Shreyams Kumar, Jt Managing Director, Mathrubhumi Printing & Publishing Co Ltd said “This in indeed a condign recognition from the industry. For a 96yrs old malayalee media house in the forefront of all progressive movements in Kerala, and dedicated to excellence in authentic content and fidelity in production, yet another feather in our cap. We are both humbled and honoured to acknowledge these awards on behalf of all our constituents , without whose support it would not have been possible to scale these heights “.